This weekend, 21st-22nd January, the Pisan town of Pontedera is hosting the event “The New Olive Oil and Flavours from the Earth”, part of the Olive Oil Fair of the Pisan Hills. On display obviously producers from the surrounding territory with their just-pressed virgin olive oil but more is brewing. There will also be a guided tasting of olive oil, ‘flavour’ workshops, and the Era Valley Slow Food Committee is meeting to establish a board which will enhance the local quality products. 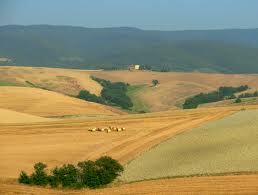 The Pisan Hills, le Colline Pisane, are those typical of the Tuscan countryside. They gentle roll into one another, divided by the streams that flow to converge in the River Era. Since ancient times the area has been shaped by intense agricultural activity that has, however, done its best to conserve the surrounding nature. 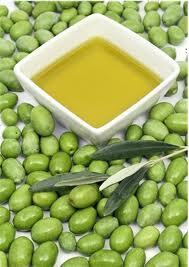 The hills are covered in olive groves and vineyards, whereas down in the plain fruit trees dominate the scene. Wheat and sunflowers set the fields on fire with various shades of gold, whereas skilfully planted along the knaps the cypresses majestically frame the emblematic ochre and stone Tuscan farmhouses. Nature lovers will enjoy exploring this territory, both on foot, horseback or by bike, along paths that unravel around hamlets and through farms framed by vines, olives, cypresses and pine trees, crossing woods full of wild animals and discovering the hidden works of art in the ancient parish churches or in the prior palaces. 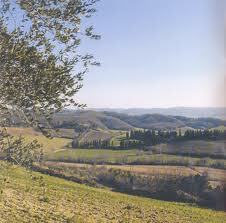 A direct invitation to come and visit the countryside around Pontedera and Pisa, le Colline Pisane and the Era Valley. 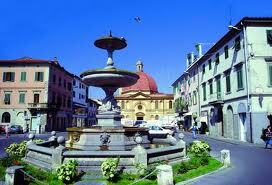 Link to holiday accommodation in Terricciola, near Pontedera. Questa voce è stata pubblicata in Fêtes & showcases in Tuscany. Contrassegna il permalink.